My hubby and I took a trip to Asheville NC in order to get away and relax! We met some of the sweetest people at the Bed and Breakfast that we stayed at (hope you guys have found our site :) they welcomed our crazy selves...nose ring and all into their conversations and were excited with us about our journey! I also met another very talented artist.. a hoola girl!! 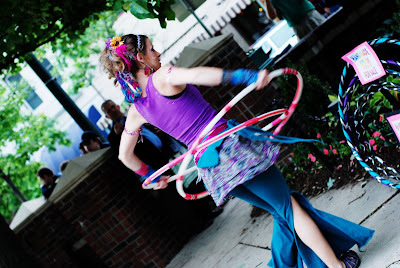 I have been keeping up with Sarah's hooping adventures and was thrilled to see this talented lady! I must say that this next favorite tied closely with seeing my favorite band! Last but not least we picked up our home on the way back!!! Stay tuned to hear about the adventures that came with our first night in our new home.. no experience EVER operating one of these before!! Looks like some good times!...Enjoyed the links...thanks for posting em. Oh...and The Swell Season, wow! "Once" is one of my all time favorite movies. Very cool. Sooo cool! I've never been to Asheville, but definitely plan on it since we'll be living a couple of hours away. Well, I found your site! The RV looks great. 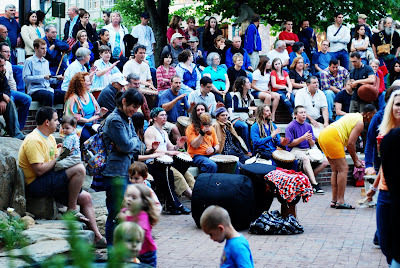 I went to the drum circle last time I was in Asheville but not on this trip. It is pretty cool. YaY for finding the site Nancy!! 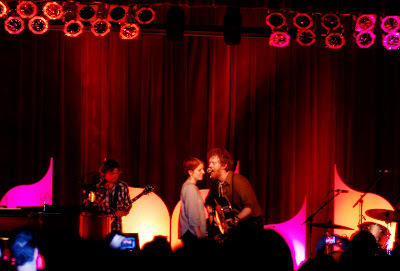 Richele: <3 me some Swell Season! They were totally awesome.. best concert I have been to! If you ever get the chance to see them you must! Shaktimama: In Asheville we began looking at yurts (there was a yurt company there) we are really hoping to do what you are doing once our traveling is over! American Daze: Glad you enjoyed the links!! sooooo jealous! want to see Swell Season!! and you are my hero, just picking up and selling everything and traveling. sigh. take me??? oooh, love the swell season too! the home looks great, congrats! Hi! It was so nice to meet you at the B&B! 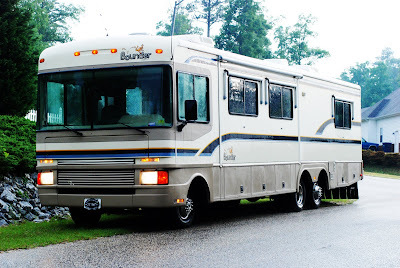 I look forward to hearing more about your RV adventure!